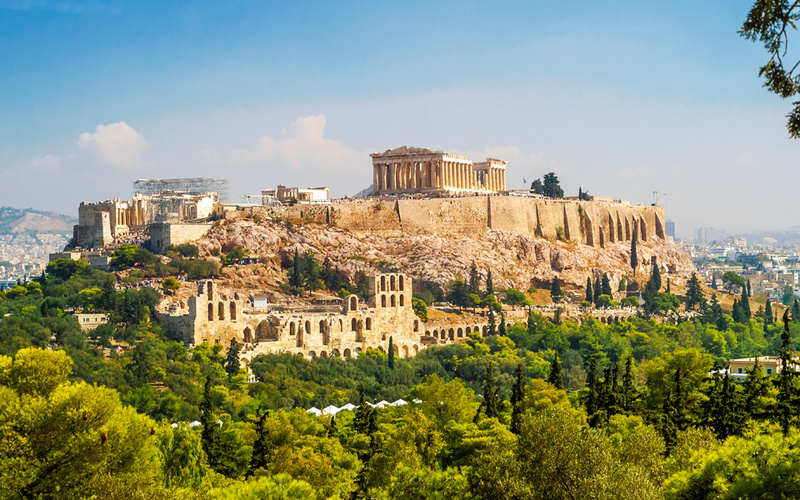 All great works of architecture, sculpture and painting in ancient Greece were commissioned by the state and its authorities for religious, political or ideological purposes. For the Acropolis, the city’s age-old center of worship, Pericles proposed (and the Athenian people agreed) the construction of three temples in honor of the city’s patron goddess, Athena, in four of her manifestations (Athena Parthenos and Athena Promachos in the Parthenon, Athena Polias in the Erechtheion, Athena Nike in the temple of the same name). At the same time, these magnificent works with their splendid architecture and elaborate sculptural decoration of the pediments, metopes and friezes conveyed a variety of political and cultural messages to local people and foreigners alike: Athens’ preeminent position as an economic, military and political superpower; the superiority of the democratic polity from the viewpoint of principles, institutions and operational effectiveness; as well as the creativity and high esthetic standards of its citizens.